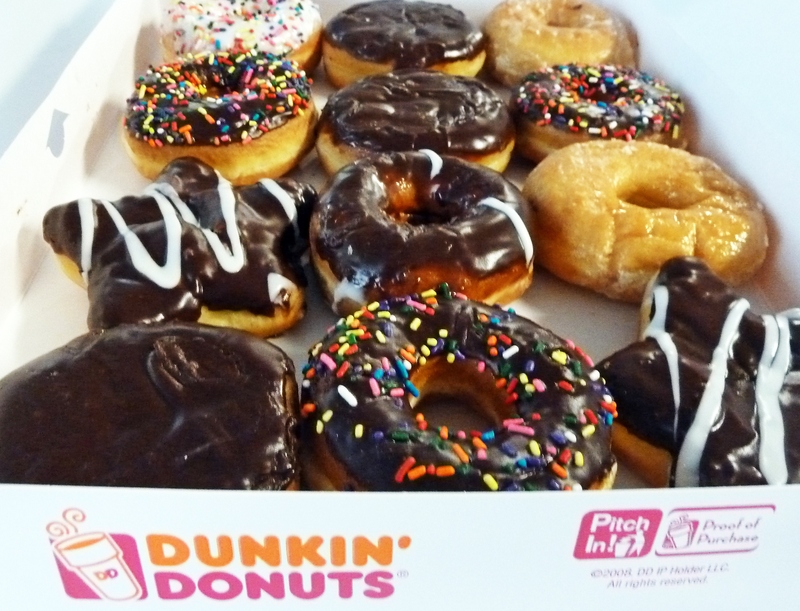 It's been a number of months since we first heard that Dunkin' Donuts was considering testing out a delivery service. If you've been wondering, but Erin, where can I get Dunkin' Donuts delivery, and when will it be available?, I have exciting news for you: The coffee chain's new delivery service is being tested in various United States markets right now. The test run for delivery is going to include Dunkin' Donuts locations in Dallas, Atlanta, Los Angeles, Chicago, and Washington, DC; furthermore, an app-based advance order system similar to Starbucks' order-ahead option is being tested in Portland, Maine. All our doughnutty dreams are coming true! According to CBS, delivery is currently only available to customers at 19 locations in Dallas; however, it will also be arriving in Atlanta, Chicago, LA, and Washington, DC soon. The delivery itself is provided by a third party, DoorDash. Meanwhile, Portland's test run of the order-ahead option will be available at a whopping 124 stores in the area. For those of you who live in these cities and want to get in on the delivery or pre-order action, all you have to do is download the Dunkin' Donuts mobile app to your smartphone and the options will be automatically available to you. If you live in one of the delivery areas, DoorDash will get your food to you in 45 minutes or less between 7 a.m. and 10 p.m. In terms of what's on the delivery or order-ahead menu, you'll be able to order Dunkin' Donuts full menu lineup all day. So whether you're craving doughnuts at 9 p.m, want a coffee at the crack of dawn, or are looking to eat a savory breakfast sandwich for lunch, it's an option. "Our guests appreciate that we make our full menu available all day, and we are committed to seeking new ways to make our products even more accessible to our guests throughout the day," Dunkin' Donuts Vice President of Global Consumer Engagement Scott Hudler stated in a press release. Huddler also believes the timeliness of the service will help boost popularity: "The morning space and the coffee space are incredibly crowded. Speed is one of our brand differentiators," he told Bloomberg Business in an interview. While Dunkin' said to CBS that the expansion of the test will likely arrive in the coming weeks, it still might be a while before we see a nationwide rollout of Dunkin' Donuts delivery. In the meantime, if you live in LA, Atlanta, DC, or Chicago, make sure to keep your eyes peeled and for the rest of us — fingers crossed it's a success so the rest of us can experience it soon, too!